Welcome to Hickory Hollow Cabin rentals in Sevierville, Tn! This beautiful area is located on the quiet side of Wears Valley in Sevierville and provides the ultimate convenience for your next Smoky Mountain vacation. With quick easy access down the mountains to Pigeon Forge, Hickory Hollow is a great spot to spend your mountain trip if you plan to enjoy all the fun-filled activities Pigeon Forge offers. Hickory Hollow rentals are surrounded by endless attractions, and we are not over exaggerating. 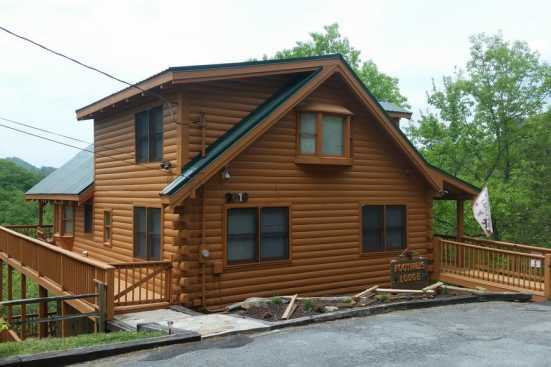 The location of these cabin rentals allows you to access Pigeon Forge, Sevierville and Gatlinburg all within minutes. If you are looking to do some shopping, enjoy fine dining and see unique attractions and adventures you have found the right place! Enjoy go-kart riding, hiking, antique shopping, mountain views and so much more. Book your next Hickory Hollow Cabin rental on SMBYO. SMBYO provides you an Email Owner button and phone number for each property listing. Contact the property owner or use the calendar on the properties marked with our Online Booking symbol to view a quote.